To better remember people and places captured in our digital photographs it's useful to have the original date and time imprinted on the images themselves. But there is a better way to add date/time stamps to photos and that is to use a specially designed software to do the job automatically for dozens of pictures. Firstly the digital photos need to be transferred to our computer where backup copies will be made, then we will use a program to add the date/time stamp on dozens of pics at once. BatchPhoto is such a tool. 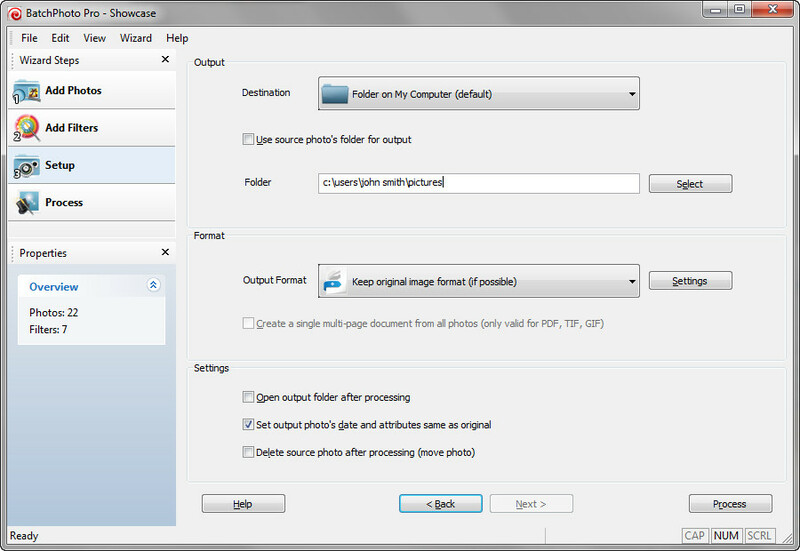 The program can put date/time stamps on pictures very fast and for all your photos at once. BatchPhoto reads the original date and time when the photo was taken from the digital photo itself so you don't have to worry about this. The program allow you to set the date format, font style, color and placement and can also stamp date/time on pictures directly from Windows Explorer right-mouse-click menu! 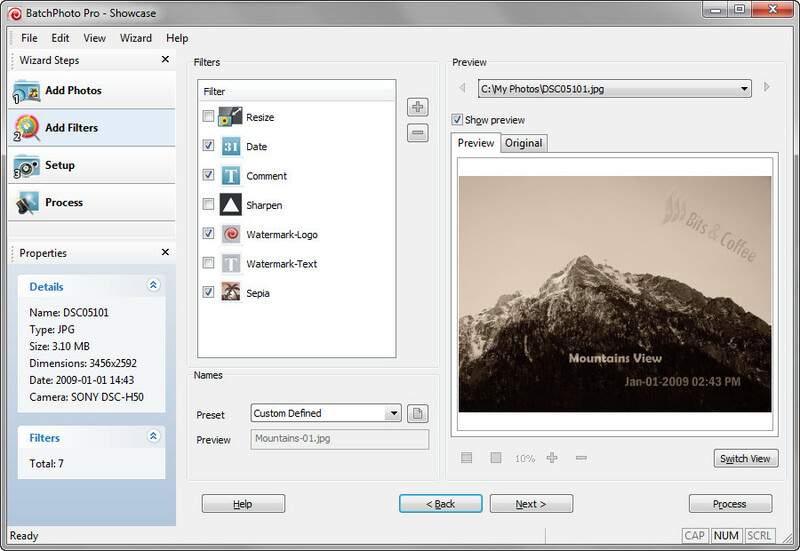 But why not try for free the fully-featured trial version of BatchPhoto and see if it's the right tool for you? To download the trial just left-click on the "Try it Free" button bellow! 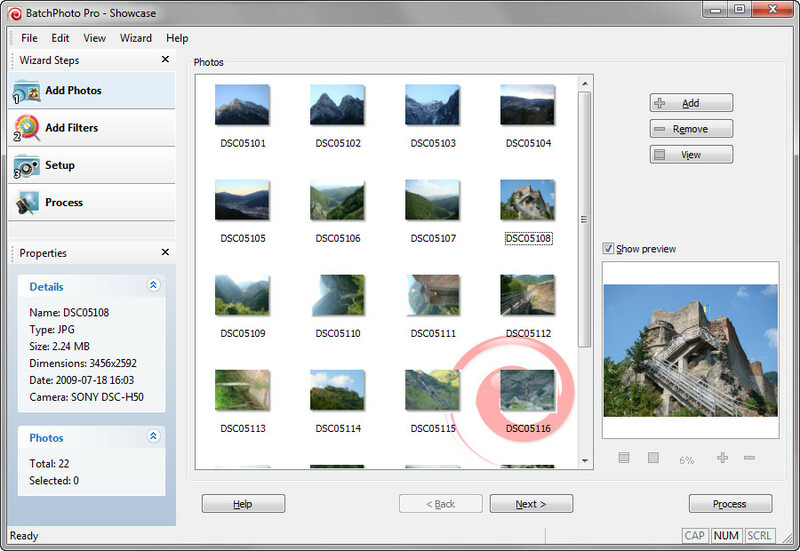 Note: BatchPhoto works with Windows® XP, Vista, 7 as well as the other Windows systems. BatchPhoto offers a unique twist that should help users change their snapshots in a hurry. 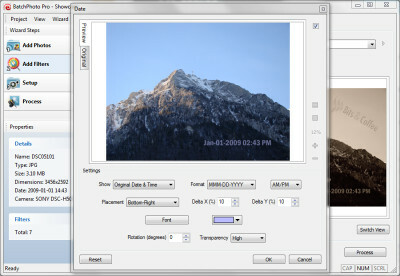 With a very simple wizard driven interface, BatchPhoto offers far more than the usual batch processing operations, including an impressive range of filters and effects you can add to your shots [...] If you are taking your digital photography seriously, you will appreciate the time saved and the power of BatchPhoto. The excellent time-saving approach to batch image processing. BatchPhoto is very easy to use, fast and reliable. Add the facts that its interface won't hurt your eyes at all, settings and profiles can be easily saved and loaded as needed and the documentation, although small in size, can prove quite useful, and you shall have the truth. Using the program was easy and quick, I really liked the filters it offered me as well as the filename modification. I was also amazed at how many different output types were available. The previews were also found to be excellent. Copyright © 2007-2015 Bits&Coffee™. All Rights Reserved.